NH Podium Hotel is the second on my list, but remember this is a random selection. You are free to choose any hotel from the huge amount available in Barcelona. I just liked the entrance you see. It was sunny and the flowers really looked attractive. I visited the site and at least the pictures in the gallery are quite convincing. But of course I would show you my best suite to make you book a room. If I were you I would think of budget first, then which part of the city the hotel is and finally I would read some reviews on the web. 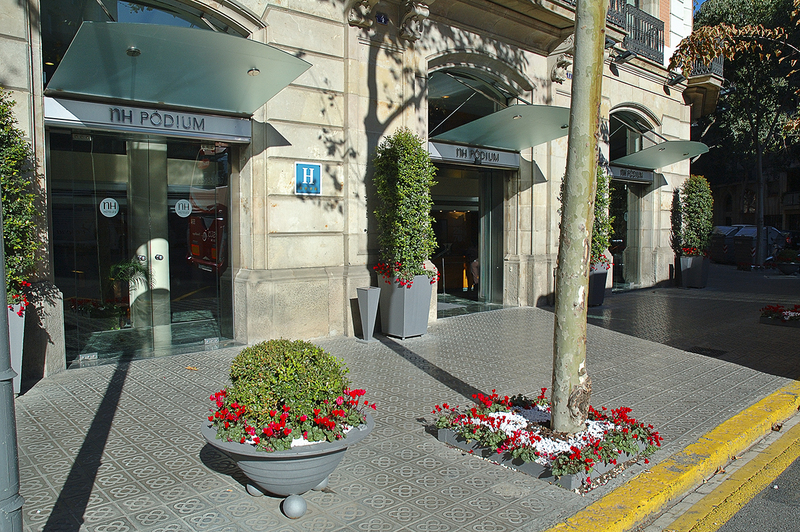 By the way, NH Podium is located at Bailen street, 4-6, very near Arc de Triomph and Ciutadella Park. Estive em barcelona por três dias em outubro passado! Voltarei este ano se ouder!